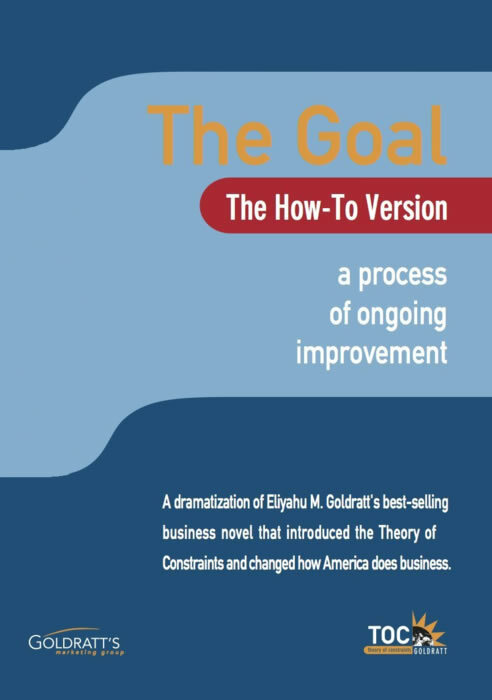 Like the outstanding and best-selling business book upon which it is based, The Goal Movie (on DVD, Downloadable or Online streaming through TOC.tv) shares the inspiring story of Alex Rogo, who uses the principles of the Theory of Constraints like bottlenecks, throughput, and flow balancing to transform his mediocre division into a money-making machine. Alex and his team reject common 'nonsense' measurements and discover a commonsense, yet more effective approach to boosting the company's bottom line. The movie brilliantly explains with day to day examples the concepts that boost performance in productivity. An example is the one in which Alex takes his son and a group of Boy Scouts out on a hiking expedition. Here Alex faces and learns to properly deal with a bottleneck, in the form of the slowest boy called Herbie, to significantly improve the performance of the system. Alex then shows how he applied those principles to his manufacturing plant. If you want to introduce the Five Focusing Steps, concepts of the Theory of Constraints, and their application to operations called Drum Buffer Rope, this is a painless way to do it. The Goal Movie "How-to version" presents a very direct approach to "this is how you do it". In an interview with CNBC's Tech correspondent Jon Fortt, Amazon's founder and CEO Jeff Bezos, reveals The Goal as one of the three books his top Amazon executives read. 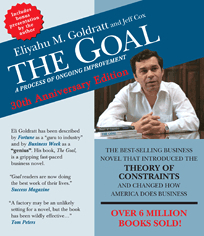 Dr. Goldratt best selling book, The Goal, ranks in Time Magazine's 25 Most Influential Business Management books. This video takes the book The Goal and shows you how to put the concepts to work in your company. 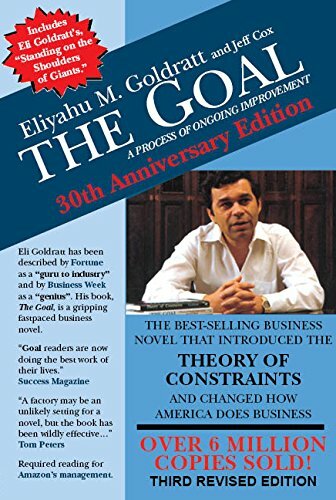 Eliyahu Goldratt's The Goal is unusual among business management ... The Goal is centered on a production manager named Alex Rogo who has three months to turn around a deficient, unprofitable manufacturing plant. The Goal explains the "Theory of Constraints" ... focuses on dealing with bottlenecks, the leverage point to increase productivity. Rogo uses the Socratic method ... coming up with answers to solve the plant's problems. One of the main obstacles standing in the way of implementing a major change is reaching a wall-to-wall agreement on the direction of change. A powerful tool to create such agreement is The Goal Movie: The How-To Version. The use of this video is not limited just to the beginning of the implementation process. Reaching agreement on the change in direction is not a one-time effort. As the company moves in a new direction there will be some unavoidable diffusion. To prevent too much diffusion there is the need to repeatedly realign interpretations and periodically use the movie. Are you also interested in other TOC Videos? If you do, we recommend our TOC.tv Full Access Membership (Access all TOC Videos for only 129.00/month).